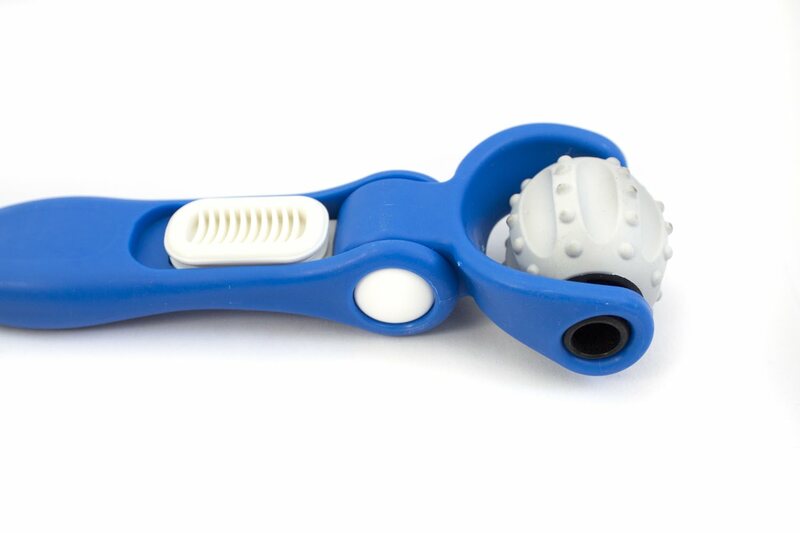 Relieve tension in hard to reach areas of the body with our Adjustable Massage Ball Roller. Able to switch between three different angles, this hand held tool gives you the capability to massage the shoulders neck and back with ease. It's durable TPR materials ensures a long product life, while its size also offers a massage on the go! We want our customers to know that we appreciate their business, thats why we offer an easy return policy. Yoga Direct understands that sometimes products are not what they seemed like on the internet... so we are giving you the chance to send it back with no hassles! Just submit an RMA request through your account and we will send you everything you need -- simple as that! !